Say you wanted to rank for the word “marketing” for example, what is the first thing you would do to optimize such a broad phrase? In case you thought it was entirely out of the question (aside from budgetary constraints for human resource), I would like to share a very profound algorithmic principle (simplified by a rudimentary analysis) to shed some light on which tactics would accomplish this feat. We often think about ranking for competitive terms as just that, competitive and immediately associate the premise with hard work, luck or chance. I can assure you, after reverse engineering various aspects of search algorithms (inadvertently as a result of a photographic memory and a keen insight for patterns) you can essentially classify a ranking by 3 simple methods. Months ago, I may have suggested a staggered keyword ranking strategy with an emphasis on ascent essentially starting with 4 keywords, start building links with those variations of anchor text and then when you are ranking target 3 keywords, 2 keywords and then ultimately go for the benchmark across the board ranking with just one keyword. Now, I beg to differ and have adapted a new approach. Target the root keyword (over time using content and links) then solidify the two word, three word and long tail semantic permutations. The premise is keyword concentration and volume. Let’s take an extremely competitive phrase (like the word “marketing” for example). When you conduct a search in Google 745,000,000 results are returned (due to this phrase being quite broad in its application). Number 1 for Marketing – Wikipedia (authority site leveraging internal links as well as over 8000 inbound links to a sub folder). Number 2 for Marketing – Managementhelp.org (subpage using silo site information architecture with pages augmented by authority domains, also note the lack of vowels in site and naming convention). Number 3 for Marketing – bidvertiser.com (sheer link weight millions of links with diverse anchor text over time). Number 4 for Marketing – www.entrepreneur.com/marketing/ (authority site with silo site architecture). 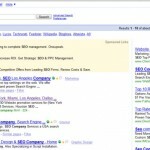 Number 5 for Marketing – marketing.about.com/ (sub domain ranking strategy). Ranking for competitive root phrases is not just about the competitiveness of the phrase alone, it is the concentration of the relative keyword density for that site combined with the criteria of quality, trust and off page factors. The page from Number 2 had a keyword density of 6.72 percent. In my tests, anything with a concentration for on page over 6% when coupled with off-page link building that addresses the semantic root phrases should be in the top 10 to 15 results when combined with modifiers (more descriptive / supporting keywords). By targeting a root phrase like marketing for example, ranking for variations of the modifiers is second nature such as online marketing, marketing strategies, internet marketing etc. Looking from another standpoint the page from www.managementhelp.org has 296 other pages from outside the domain referencing it, which from one level may seem excessive, but when combined with the top ranking pages concentration and the fact that there are 186 pages on the subject within the site out of 770 pages you realize it is not just one set of circumstances affecting the outcome. This is a perfect example of a cumulative ranking which is based on momentum, link weight, topical relevance through content and authority. Despite sounding like a broken record (since we have covered dozens of pages on the topic in our site) the simple facts remain. Combine enough factors that are favorable and the relevance score increases. 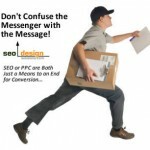 By using any of the key metrics discovered in various sites that hold top ranking positions, the pattern becomes clear. Although each page has its own method, chronology (for content, inbound links and diversity) the end result is, they comprise a particular signature that search engine algorithms are looking for that associate this phenomenon with relevance and top rankings (at least for now). The point is, it is possible to analyze any number of phrases and or websites and determine why in fact they are where they are and essentially which strategies they are utilizing. Some sites are more difficult to assess than others, but if the top position can be toppled with less than 500 pages and a mixture of links, then at least you can gauge how long it will take to acquire a threshold for competitive phrases. Most in fact only require less than a dozen (if constructed properly). If you start writing now, keep your inbound links focused, structure your content to support itself and maintain a focus for the topic, then essentially any keyword can be captured over time. Or in the event that you simply don’t have the time because you are too busy marketing your products or services, at least you could hire an online marketing that specializes in competitive search engine optimization services to steer you in the right direction. How do we know it works? because we have created thousands of top 10 rankings as a result. Not that it was the intention, but if something works it is only a matter of time before analysis unravels the results and someone takes notice. In closing, rankings can be acquired by the page or through using the entire site to reinforce a page depending on the threshold for what search engines consider relevant and how many other individuals are standing in line for the keyword or phrase. This goes back to the analogy between the tortoise and the hare. Sometimes it is better to patiently plot your path and acquire relevance for the root phrase (instead of thinking short term and sprinting to capture one piece of the puzzle or series of keywords). Slow and steady wins the race was a motto devised from wisdom, so, if you can apply that to your SEO strategy it will be no surprise when your site, pages and relevance climbs the ladder to the helm of a phrase and stems into multiple top 10 rankings. Keep in mind, we used a very competitive phrase as an example, if your keyword has 2 words, then your job just got easier, 3 keywords (even more flexible to zero in on). The main takeaway from this post is, see how each page is a piece of the puzzle, but understand what role it plays in the grand scheme of the site. Then, apply the same logic to your own site and dig deep and shore up the areas that need support. 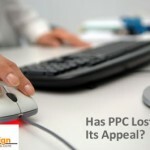 SEO / SEM Trends: Has PPC Lost its Appeal? The Advantages of Online Marketing! You are the reason why this blog exists, not to hype the practice of SEO, but sincerely to help out by giving back. Thank you for taking the time to read our blog. All the best, Jeffrey Smith. You are to be congratulated once again for adding such a useful information. I believe, this post should have helped many humans like Don around the globe. 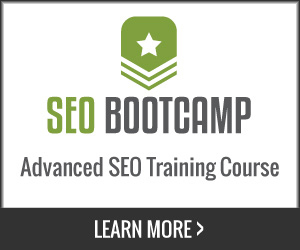 The good companies always educate people and their clients (The Good SEO COMPANIES)….And You are doing a good job..
SEO is still new for current business, especially the link building.